SAN ANSELMO, Calif. (KGO) -- A beloved Bay Area duck named Juanita may soon be reunited with a group of seniors in Marin County. 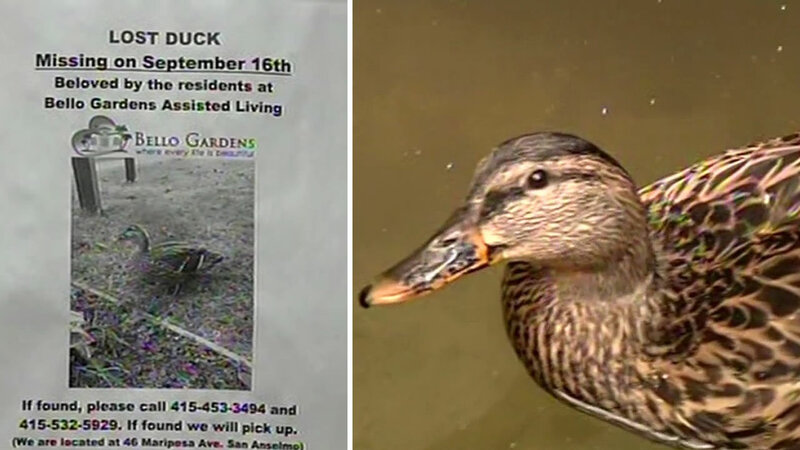 As ABC7 News reported previously, the trouble for Juanita began last month when the mallard duck flew from her home at Bello Gardens Assisted Living Facility in San Anselmo to a neighbor's yard. 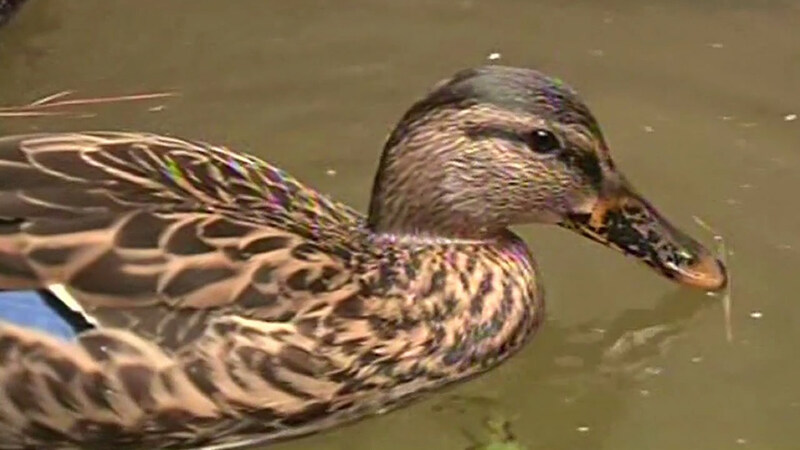 Residents of a Marin County retirement home learned a sad lesson about rescuing and domesticating wild animals after their adopted duck was taken to an animal rehab facility. New Congressman Jared Huffman says he met with all parties involved -- Bello Gardens, US Fish and Wildlife Service (USFWS) and WildCare -- and things are now looking promising for Juanita. While final details are under negotiation, Huffman said in a statement that Juanita's route back to Bello Gardens, where she has lived since she was a baby duck the past two years, looks promising. He says the owners of Bello Gardens plan to use her as an 'ambassador for conservation education' in order to comply with federal rules and will comply with other requirements. "While it may seem silly to some, WildCare and the government agencies tasked with protecting wildlife have a serious role to play in making sure we don't harm the wild animals that call our region home," said Huffman. "For our safety and for the animals' wellbeing, state and federal regulations prohibit people from treating wildlife as pets, and WildCare and the government agencies work tirelessly to educate the public about how we can safely coexist. In this case, we're all working together to find an appropriate and legal way for the mallard to live at Bello Gardens, and I appreciate all the parties' willingness to work collaboratively." USFWS is tasked with ensuring compliance with the Migratory Bird Treaty Act and associated regulations. These regulations are in place to conserve and protect migratory bird populations for this and future generations. In an effort to meet USFWS Migratory Bird conservation regulations, Bello Gardens plans to apply for a Federal Migratory Bird Special Purpose Possession - Education Permit for Live Birds. As part of the process, they will either designate staff to undergo necessary training or preferably hire a person with the required experience to fill this new role at Bello Gardens. "Juanita has brought the seniors both purpose and joy," said Bello Gardens owner Mark Bello. "She has shown us how big one little duck can be. We are happy to comply with the permit and understand the challenges involved. The public has been wildly supportive and we are asking for assistance to find someone who might want to work with us. Please contact us if you or someone you know may be a qualified candidate." If the assisted living community decides to train an existing staff member, WildCare Communications Manager Alison Hermance says they're willing to help with the training components of the permit. "WildCare is very happy to help Bello Gardens successfully receive the permit to keep Juanita as an educational wild animal. We look forward to seeing her returned to their care and to helping them craft their conservation message," she said. WildCare tends to nearly 4,000 injured and orphaned wild animals in their wildlife hospital every year, including an average of 200 wild mallards. Their environmental education programs reach over 40,000 Bay Area children adults in the same period. Bello Gardens is a local family-owned assisted living community. They are licensed care for 25 senior residents in San Anselmo.